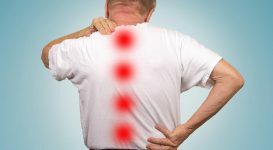 If you’ve been suffering from chronic back pain, then you may have noticed that your pain intensifies and worsens after prolonged periods of sitting. The main reason behind this is that when sitting, whether it be on your couch or office chair, your static posture increases the stress on your spinal discs and various other areas of your body. Also, as you remain in this static posture for prolonged periods, your body tends to “slouch over” into a position that you find most comfortable. This may cause even more strain on your spinal discs and can contribute to or worsen your back pain. It’s important that you use correct posture when sitting and take frequent walk breaks to alleviate the pressure in your spine and various muscles (mainly the hip flexors, pectoralis major, front deltoids, and erector spine) that are being stretched or tightened when in a sitting position. In this article, we will discuss the proper way to sit to minimize back pain, and also extra steps you can take to alleviate the pain. Sit up with your back straight and your shoulders back instead of rounding forward. If using an office chair, adjust the height of the chair so your head looks straight when viewing your work. Adjust the armrests so that your shoulders remain relaxed when rested on them. 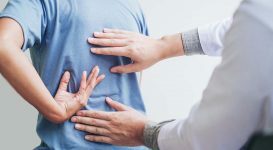 Although these tips will help minimize the pressure placed on problem areas in your back, they will not completely alleviate lower back pain. For more relief, you want to perform the following stretches and tips regularly in order to lengthen muscles that have been tightened from prolonged periods of sitting. This is an excellent stretch to help open up your chest and shoulder muscles that are often tightened when sitting. Place your hands on both sides of a doorway and lean forward until you feel a comfortable stretch in your chest and shoulders. Make sure that you keep your back straight during the movement. Breathe deeply during the stretch. Perform this stretch a few times a day for around 30-60 seconds at a time. The hip flexor stretch is great for loosening up your hip flexors that are shortened when sitting. In fact, these muscles actually “pull” on your lower back when tightened and are often the culprit to the lower back pain you feel when sitting. Place on foot in front and your other behind. Bend the front leg to a 90-degree angle and lean forward by extending the back leg until you feel a deep stretch in the hip flexor of the front leg. You want to hold this position for around 30-60 seconds on each side and repeat this stretch a few times a day. Again, you want to ensure that your back is not rounded or arched during the stretch. Instead, keep your back neutral and breathe deeply throughout the stretch. No matter how good your sitting posture or how comfortable your office chair is, prolonged static sitting is not good for the back and is a common contributor to overall back problems and muscle strain. To avoid this, remember to stand and walk briefly for at least a couple minutes for every half hour you spend sitting. Any movement that gets you out of your chair, such as going to the washroom or getting some water, will help and will be more beneficial than staying in a sitting position. Several muscles are tightened when you are in a sitting position and these shortened muscles will only worsen your lower back pain symptoms. In addition to stretching, you also want to perform a self-myofascial release on these muscles as well. 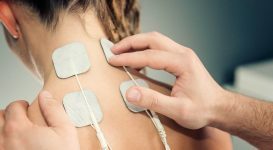 This can be done at home or with the help of a registered massage therapist. If you have access to a tennis ball or foam roller, you can roll out your hip flexors, glute muscles, and chest and shoulder muscles. To do this, either lay down or stand against a wall, and place a tennis ball or foam roller around these areas and keep the pressure on tender spots for 30-45 seconds until the pain subsides. This will help increase blood flow to these areas and help lengthen these shortened muscles. You need to constantly be mindful of your posture especially when sitting for prolonged periods. The provided tips will help prevent your back pain from worsening and can help alleviate the back pain you feel. Use these tips consistently and regularly, and you’ll notice an improvement in living with back pain in no time! Even when you're under medical care for back pain, there are still things you can do to relieve your pain. Here are five tips for back pain relief! Can Massage Therapy Help Treat Lower Back Pain?